Wire, the sleek messaging client created by ex-Skype team members, has been one of my favorite IM apps since its launch last year, largely because of its clean interface and great audio quality. As a Windows user, however, I’d missed having a native client for when I don’t feel like fetching my phone or opening another browser tab. 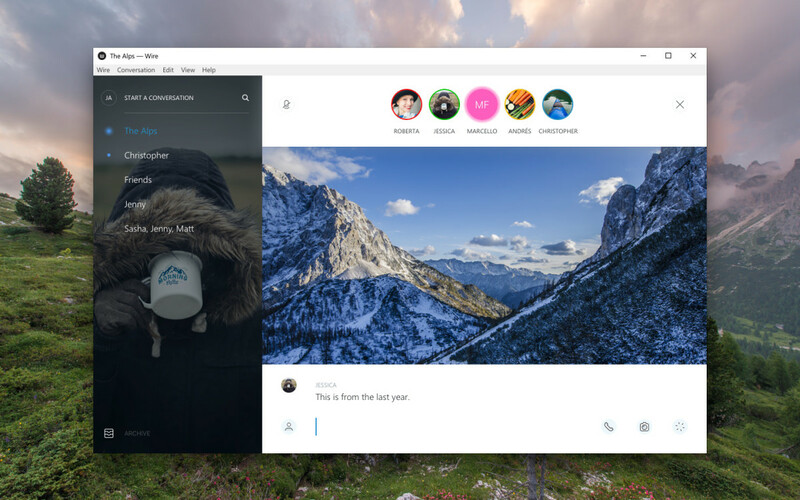 Thankfully, that ends today: Wire is introducing its first Windows app. It joins the Android, iOS, OS X and Web versions. The app comes with most of the functionality you’d expect from the other versions, including high fidelity audio calls (video is still in the works), automatically embedded YouTube, Spotify, SoundCloud and Vimeo content, and the same clean UI you’re used to on other platforms. Bonus: Giphy integration makes it easy to add animated images as soon as you start typing. Unfortunately, the app isn’t built on the Windows Universal Platform, so it’s not optimized for tablets and mobile devices (though interface elements were large enough that I didn’t have an issue using my touch screen. Nonetheless, Wire tells me having a native Windows client means the app will be able to support more powerful features in the future that aren’t possible in a browser. You can download it and give it a try yourself at the link below.